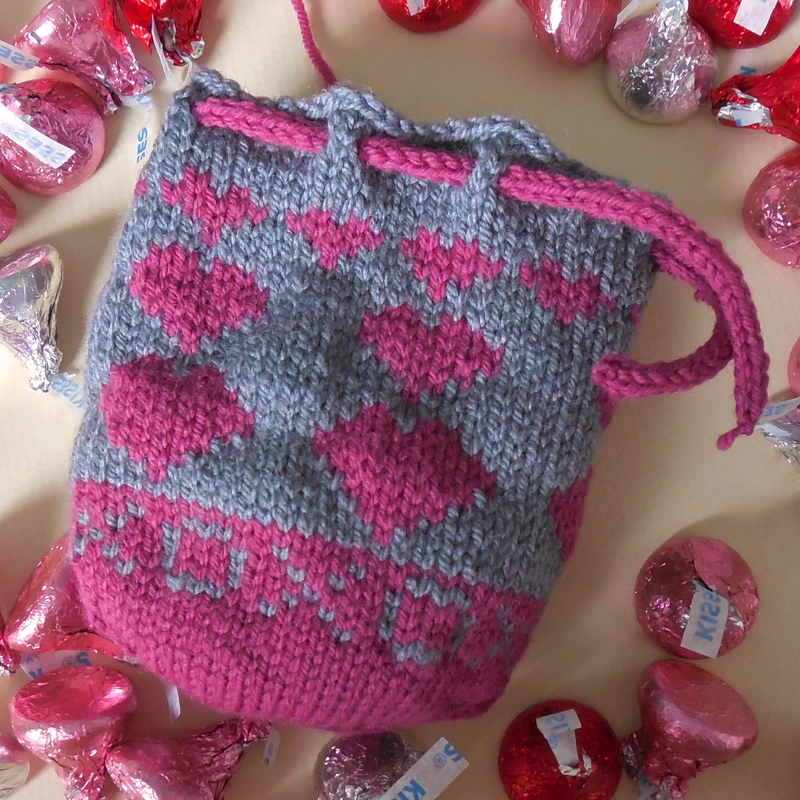 There is always an extra buzz at FlorrieMarie when we publish a new pattern! Here is our latest, cute little colour work pouches. 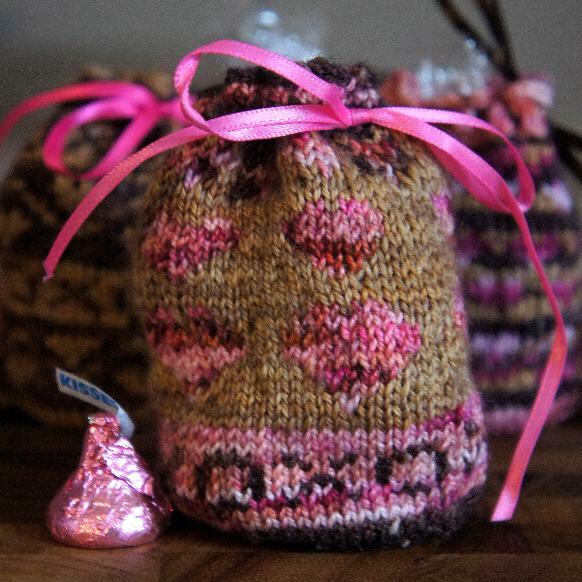 Their name, Kiss Kiss is a nod to what was in mind to nestle inside them, chocolate kisses. We had been loosley planning a little Valentine’s project for a while, but they always seem get to big and eventually pushed to the back burner. I’d been sketching some ideas for a larger Valentines project but realised I’d be rushed to get it wound up in time. 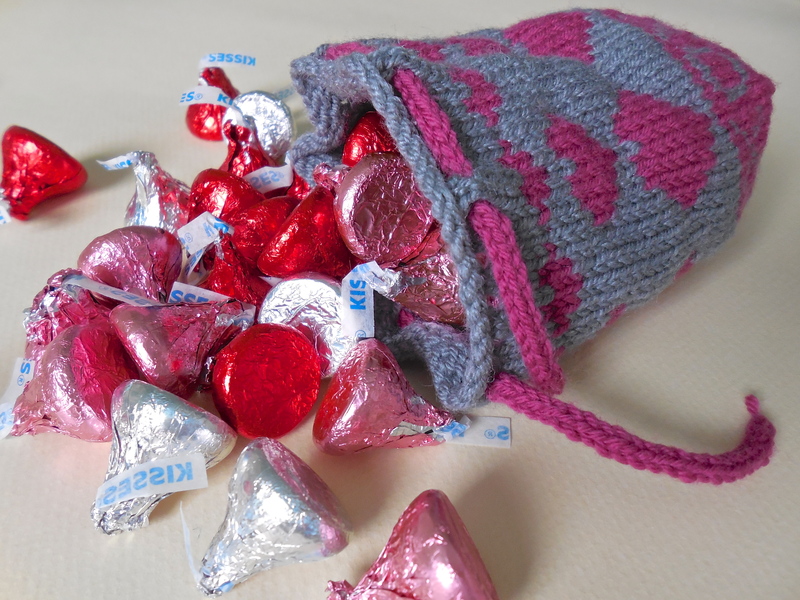 Absentmindedly resting some sweeties in a mitten I’m knitting made something click and Kiss Kiss was conceived. 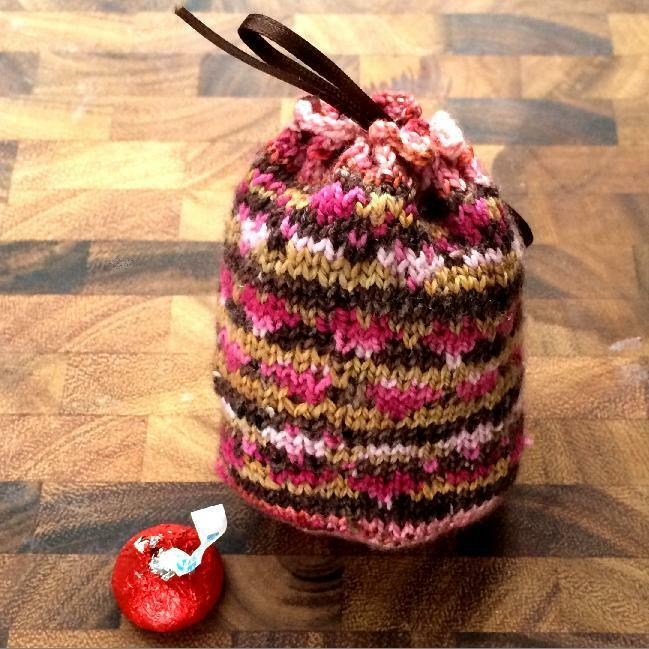 These little darlings knit up very quickly and only use a little yarn. Even if you’re new to colour work, there’s nothing to be scared of. Each pattern can be knitted in just two colours and will still look adorable. 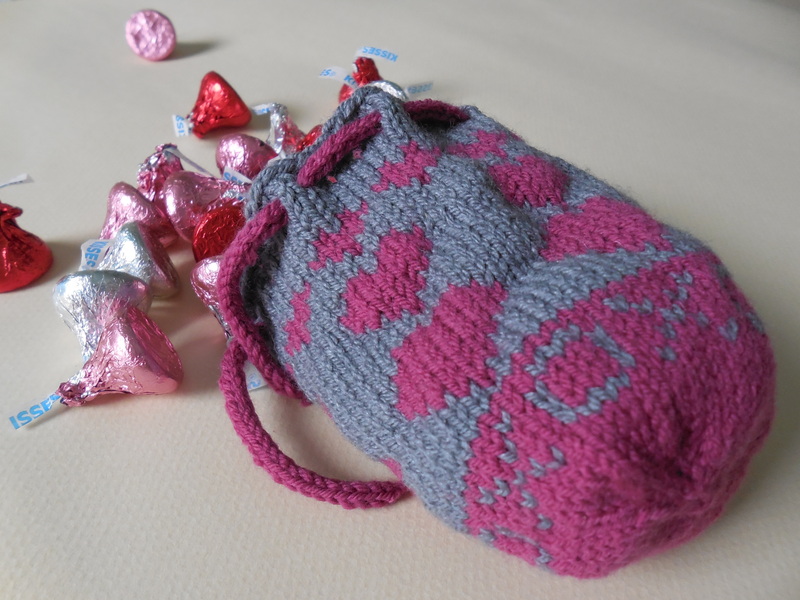 To download your free pattern, visit the Kiss Kiss pattern page on Ravelry! Please note: Ravelry is usually a very reliable way to download a pattern, but if you’re having any trouble simply make sure that your Adobe Reader is up to date and if you’re still having trouble please send us an email at support@florriemarie.com and we would be happy to email the PDF to you.